2002. Introduce the first 400 size 3D electric powered helicopter into R/C market (Zoom/Zap/Shogun 400). 2004. Release the new high speed (160 km/h) EDF airplane (Tiger Shark). 2005. Develop the tiniest pneumatic retract gear for Tiger Shark. 2005. Release the tiniest 3D electric powered helicopter (Zoom/Zap 100). 2006. Develop our first 3-blades rotor head for EP100. 2007. Established New R&D center, and manufacturing plant. 2007. Release 550 class electric powered helicopter (Hurricane 550). 2007. Release 200 class electric powered helicopter (Hurricane 200). 2008. Release the new EDF airplane (Tiger Shark Delta). 2008. Release 425 class electric powered helicopter (Hurricane 425). 2008. Release 200 class Torque Tube Driven helicopter (Hurricane 200SD). 2008. Release the High Performance, Light Weight AHTCS Heading hold gyro (GUEC GU-210 Heading Hold Gyro). 2008. Release the FES system (Flybarless E-Stabilizer) which is suitable for all EP helicopters (GUEC GU-365 Flybarless E-Stabilizer / FES ). 2008. Release the Flybarless Rotor Heads which are suitable for 100 class to 500 class helicopters (for 3mm Mast 100~250 class / for 5mm Mast 400 class / for 8mm Mast 425~550 class ). 2008. Release 200 class Ultimate electric powered helicopter (Hurricane 200 V2 ). 2009. Release the scale Tandem helicopter (TG 47). 2009. Release 200 V2 Combo Kit Series (Hurricane 200 V2 Combo Series). 2009. Release Full Scale Bodies and Stylish Airbrush Canopies for Hurricane 200 V2 Series (MD500 Series / F3C TigerShark Series / Stylish Airbrush Canopies ). 2010. Release 500 class electric powered helicopter (X5). 2010. Release 330X-S Quad Flyer. 2010. September release Hurricane 255 Kit. 2011. May release and Mikado GUEC GU-364 GAUI Mini VBar . 2011. June release X2 3D electric helicopter. 2011. July release 500X MULTI ROTOR FLYER. 2011. October release X4 3D electric helicopter. 2011. November release 700 class X7 3D electric helicopter. 2011. December release GAUI GU-INS ,GAUI GU-OSD. 2012. May release CRANE II & CRANE III Camera Gimbal SET. 2012. May release NX4 Nitro Helicopter. 2013. February release MRT 540H MULTI ROTOR FLYER ,GA-608 Hexa & Octo Adapter (for GU-INS). 2013. April release X4II 3D electric helicopter. 2013. July release 350X MULTI ROTOR FLYER . 2013. August release X3 3D electric helicopter. 2014. October 20, Release NX7 Fuel Helicopter . 2015. August 13, Release R5 Speed Electric Helicopter . 2016. July release X7 FZ 3D electric helicopter. 2016. October release X5 V2 3D electric helicopter. 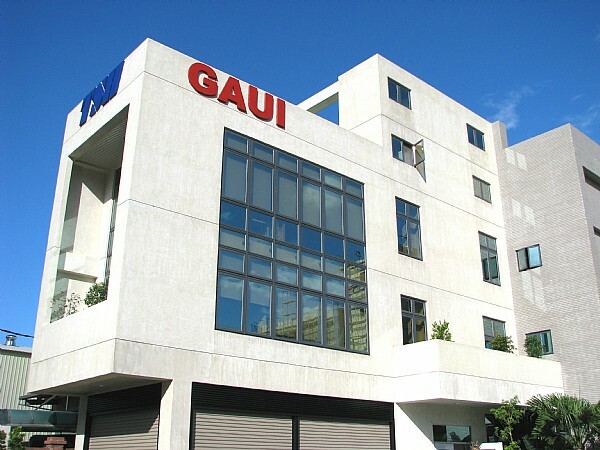 Enterprise inquires are welcome, please submit your inquiries to your dedicated GAUI team.